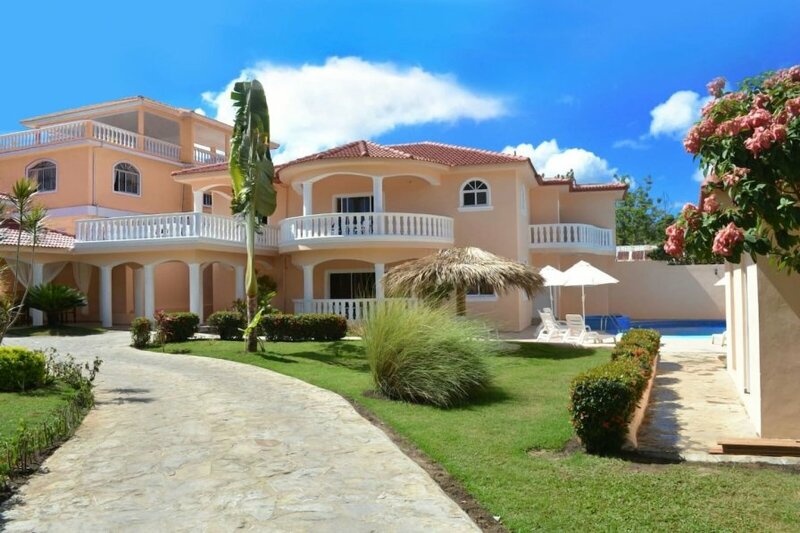 This 6 bedroom villa is located in Sosua and sleeps 14 people. It has WiFi, parking nearby and air conditioning. Beautiful 6 bedroom between puerto plata airport and downtown sosua with all amenities you need to have an unforgettable vacation. Enjoy this beautiful 6 bedroom villa only a few minutes from downtown sosua and the beach. This villa offers 6 large bedrooms with all end-suite bathrooms and fully a/c. Livingroom with 2 a/c and with plasma TV and mini-bar and with pently of space to have a good time with your family and friends. All amenities like supermarkets, shops, restaurants, bars, clubs, casinos and the beach only 5 minutes away. Come and enjoy the luxury living at really good affordable prices.